With millions of Facebook groups available, it has now become a very useful tool to build a large, engaged audience and to market your business very effectively. There are 3 types of Facebook groups you can create. Closed, public and a Facebook secret group. With a Facebook closed group, anyone can see the group and request to join but the posts are only inside of the group. They can still appear on your Facebook wall, but can only be seen by other members of that same group, not your friends. With a Facebook secret group, no one can get access to the group, no one can ask to join the group and it doesn’t appear in the Facebook groups search results. With a public group, anyone can see the group, its Facebook members and the posts published. There are many benefits to owning a new Facebook group. First, when starting a Facebook group, you can build a community of like-minded people. Unlike Facebook pages where anyone can become a fan, Facebook groups allow you to control and pre-qualify who joins, turning Facebook groups more like a community of people who talk to each other, know each other and support each other. Another benefit of starting a Facebook group is that there is no limit to how many Facebook members it can have. Unlike your Facebook profile which can only have a maximum of 5,000 friends, Facebook groups allow you to have as many Facebook members as you want. Plus, with Facebook groups you have much more control over who joins it if it’s a Facebook closed group. People have to send a request which can be accepted or rejected by the administrator of the group. Plus, with membership requests, you can learn more about people who want to join your group by asking them up to three questions. You can even control who posts on the new Facebook group and you can even choose to pre-approve the posts before they get published. Another benefit of Facebook groups is that you can really benefit from word-of mouth by enabling the feature “any member can add members”. This feature allows existing Facebook group members to grow your group on your behalf. Lastly, the other benefit of having a new Facebook group is the opportunity it provides to create a free member’s area for your customers. 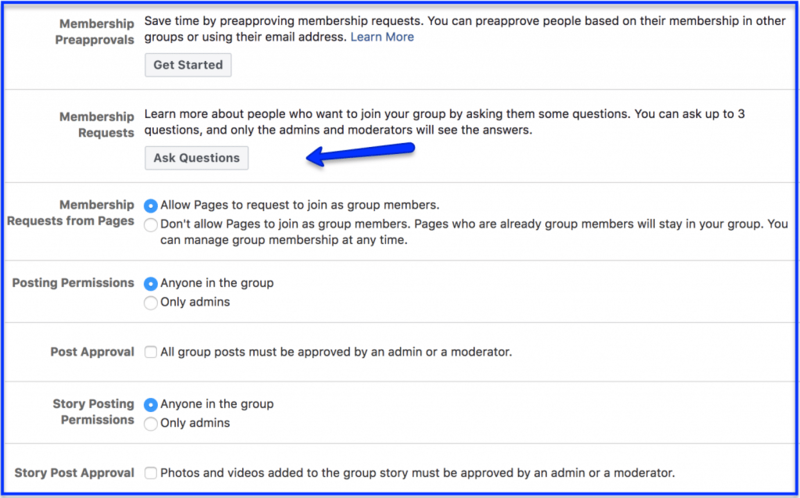 To make a Facebook group, you will need to have a Facebook profile. When you login to your Facebook profile, click on the drop down menu on the top right hand corner and select “create group”. 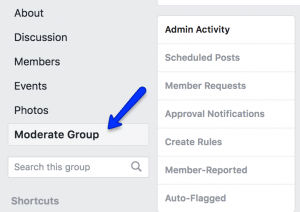 After you make a Facebook group and decide whether it will be a Facebook closed group, a private Facebook group or a Facebook secret group, go to the settings section and optimize it further. You will have to upload a banner that is 1602 x 500 pixels for it to fit properly. 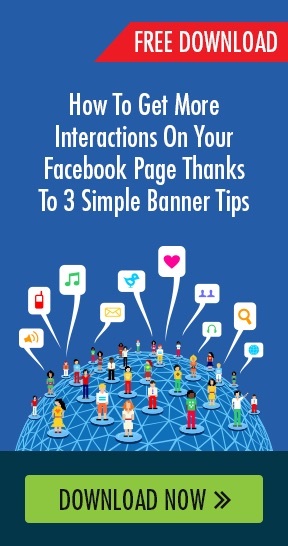 Your banner should reflect your target audience and the benefit of joining your group. For example, if your group is about parenting tips, show pictures of parents looking happy and fulfilled. After you make a Facebook group, make sure the name of your group is descriptive and keyword rich. For example, it could be “stress free parenting for single parents”. Next, select among the different options, which category your group belongs to, by clicking on the “plus” sign next to “pick a group type”. The description should be an overview of what the Facebook group is about, what kind of members it was created for, and the benefits of joining the group. Then, add a maximum of 5 tags. Tags are keywords you want your Facebook group to rank for when people type in these words in Facebook groups search engine. Lastly, if you want to build a location-based group, make sure you add your location. After creating and optimizing your new Facebook group, whether it’s a Facebook closed group, a private Facebook group or a Facebook secret group, you’ll need to commit to managing it daily. 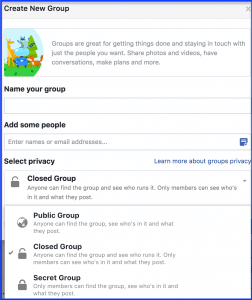 To manage Facebook groups, your daily tasks will be to accept or reject new group members if it’s a closed group. If you have asked people to answer questions about themselves when requesting to join the group, you’ll have to go through the answers too. 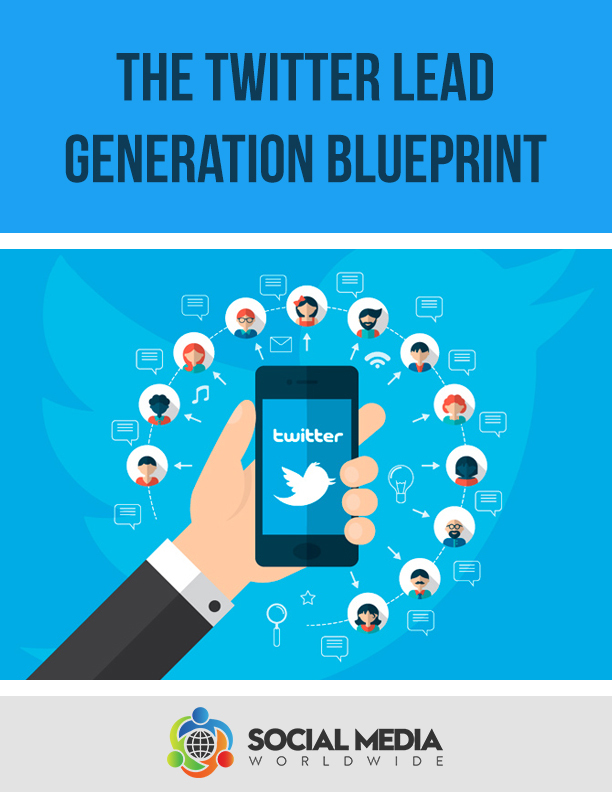 When you manage Facebook groups, your job will also be to post content on a regular basis that is of value to your members and that is relevant to the theme of the group. Next, you will have to go through the posts of your members when you manage Facebook groups. If the settings you chose requires you to pre-approve members’ posts before they get published, you’ll have to go through them on a daily basis, delete or accept them accordingly. If any member can publish posts without your permission, you will still need to monitor them and delete them if they are not appropriate to the content you want in your group. Plus, you’ll have to also make sure questions from members are being answered either by you or someone else, and acknowledge other members’ posts by commenting on their posts. A mistake to avoid when running a Facebook group, whether it’s a Facebook closed group, a private Facebook group or a Facebook secret group, is over-promoting. Either pushing products and services too often and too aggressively or letting members spam your group by constantly publishing posts about their products and services. To avoid this from happening, you can write a post about the dos and don’ts or the rules to follow as a group member and pin the post to the top so it stays visible permanently. This will ensure most people are aware of the rules and follow them. Another mistake to avoid is publishing irrelevant content. When approving posts from members or when creating your own posts, always keep in mind why people joined the group in the first place. They joined because your group was about helping a specific group of people in a specific area. Therefore, the majority of your posts should be focused on delivering that promise. I would like more information on using Facebook to drive traffic to my website. 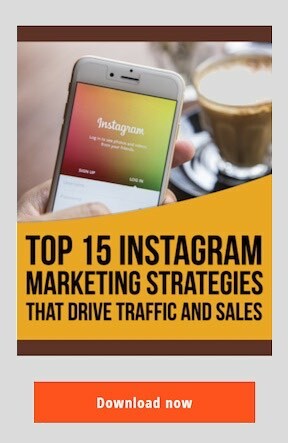 How to get traffic on Facebook and how to leverage my business.